Tech in Asia Singapore, a conference for the startups ecosystem, coming together to build and network together over two days. This conference was first conceived in 2012 and Tech in Asia Singapore 2018 was my maiden visit to this conference. Attending Tech in Asia Singapore 2018 was a great experience for me, listening to great panel sessions across different stages over two days, visiting different companies from various industries, listening to them sharing more about their products, services etc. 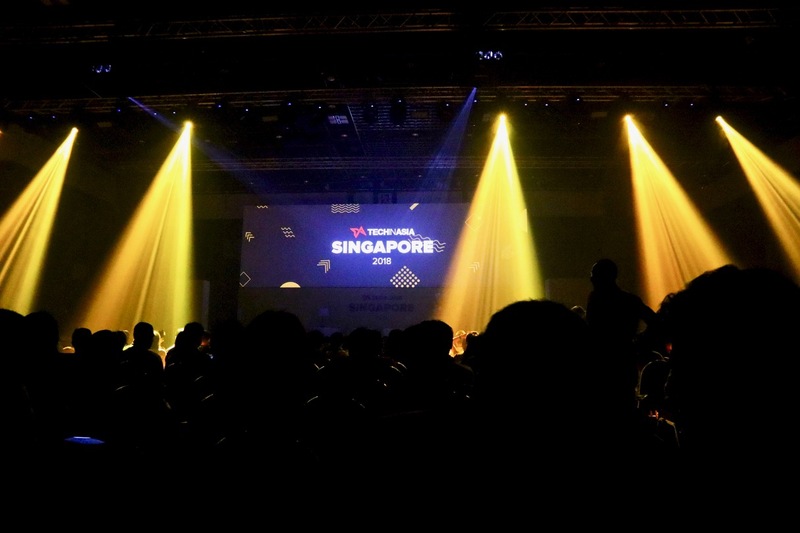 I wrote and shared about my experiences, thoughts and views (from a technology writer/enthusiast perspective) on attending Tech in Asia Singapore 2018 in another article post on my personal / technology blog/website. For this article,I am sharing startups/technology companies related to photography, travel and hospitality industries that were at Tech in Asia Singapore 2018. An interesting marketing and business growth platform. I visited their booth to have a chat with them and learn more about their services. After a good chat, I am able to visualise their marketing platform via their social gallery and business growth via their business intelligence and data gathering. This might be a good partnership for photographers/photography companies that handle big events for clients and also for organisations/buinesses that would like to have a more social and marketing outreach for their events/services. If you love to travel overseas for holidays and you love Taiwan, this would definitely get your attention! DIY and customise your own Taiwan travel itinerary with private driver without the need for a travel agent or travel agency. Being an independent traveler, DIY travel is what I like, I do like the Ownrides platform. With my strong interest in travel photography, I had a chat with them on this topic and they do have drivers inside their network that would suit travel photographers, just remember to drop them a message. Meanwhile, I am also looking at their expansion plans and see where they would be expanding/moving into! Travel in the modern social media and technology era is getting more digitised, online and social media friendly. This would be more of an interest to those who are thinking of setting up their travel agency. TravelSkope can help you to build, setup and customise your travel agency website. Now, I know who to look for if I want to setup my online travel agency one day in the future. For Japan travel lovers (like me! ), this WAmazing app is going to get your attention too. Plan your Japan travel itinerary through this app and I hope to explore more using this app for my future travels to Japan. An online social travel marketplace for buying, selling and sharing, with their base in Malaysia. If you are planning a travel holiday to Malaysia, this might be useful. Being a coffee fan/addict, something related to coffee caught my attention. There are many cafes in Singapore (we coffee lovers know it) and they can be a little bit pricey due to the high overhead costs in rental and wages for the cafes. This Coffee Break app partners specially curated cafes and helps you to discover the city’s best brews and eats. You can purchase their coffee beverages package plans via the app. A travel membership program network that builds a travel community, directly connecting travelers with hotels and other travel service providers. It’s not your usual accommodation booking platform, current presence in Southeast Asia and looking to expand worldwide. A special mention to Ikibook– A blockchain ecosystem for the creative industries, musicians, artists, photographers, creatives, this would interest them. Keep a lookout! For my photographers, travelers and those interested in hospitality industries, hope this would be useful to you in some way or another, as a consumer or from a B2B angle.